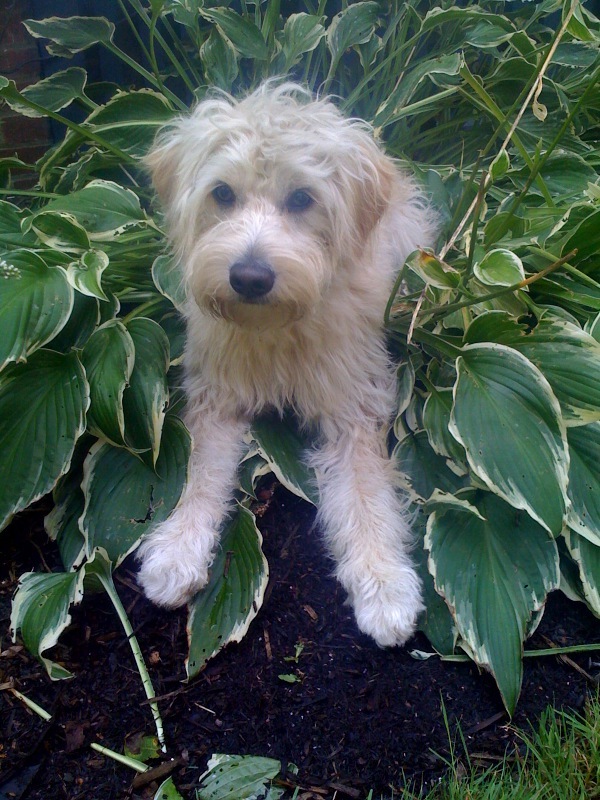 Introducing Jack the first Dogpreneur in our series of Boudoir Interviews. Jack is the CEO of homemade dog food company Spot & Tango. His mission in life is to make every dog as happy and well fed as he is. When I was young puppy, I learned to sit, roll, fetch and downward dog pose in a matter of days! My parents were so impressed they named me Jack of All Trades, or Jack for short. What are your favorite things to do in the city? I have 220 million olfactory receptors in my nose! I take my nose everywhere and my acute sense of smell leads me on many adventures throughout the five boroughs. In Manhattan, you will find me chasing squirrels and ducks in Central Park. Sometimes I chase my tail. 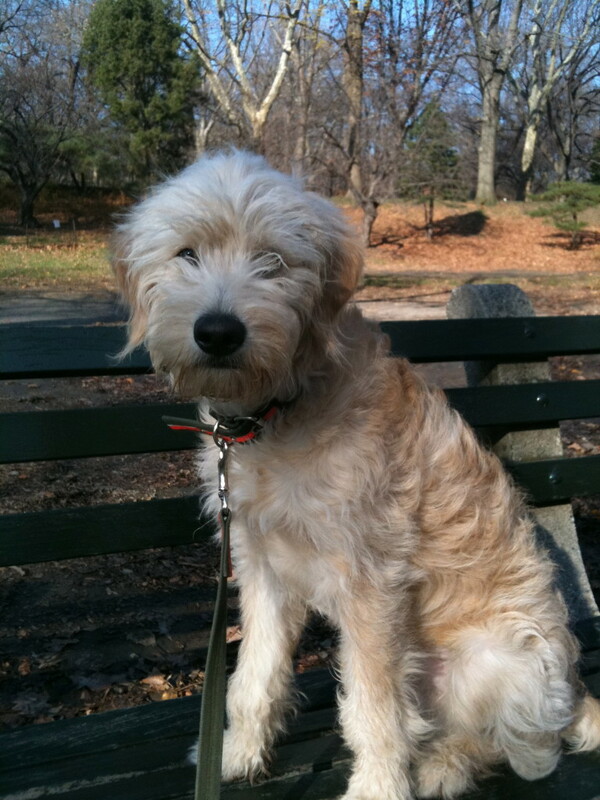 For a bit of culture, I enjoy spending time in the Brooklyn War Memorial off-leash area, and I must recommend Wolfe Pond Park on Staten Island to my web-footed friends. In Queens, the New York Mets annual ‘Bark at the Park’ is such a fun day out when the weather is warm, and the Hunter Island Trail in the Bronx is a great hike when I need some exercise. So many options, so many smells, so little time. What makes Jack different to most city dogs? I’m a city dog with good ol’country roots! You may see me wearing boots and a quilted dog coat in the city, but my heart is running naked in the hills of the Hudson Valley. I grew up on a farm, and prefer long vistas, open fields, and rolling in the hay. What is the best thing about being a city dog? 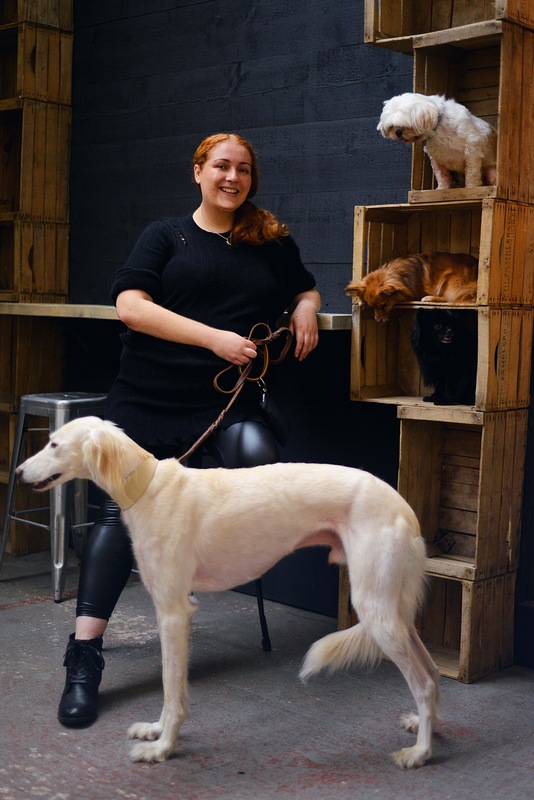 New York has the highest concentration of dogs in the world, and I have so many furry friends! If you can woof it here, you can woof it anywhere. What is the worst thing about being a city dog? Elevators! There are 80,000 elevators in the city and 80,000 reasons why elevators are the worst thing about being a city dog. The floor moves, can you believe it. I sleep with one eye open, always. Typically, I start my day by barking at shadows and other fictitious interlopers before a brisk morning work on the Upper East Side. I have memorized exactly which retail stores have dog treats and dutifully drag my parents to each location in hopes of scoring an amuse-bouche before heading home for a nap. 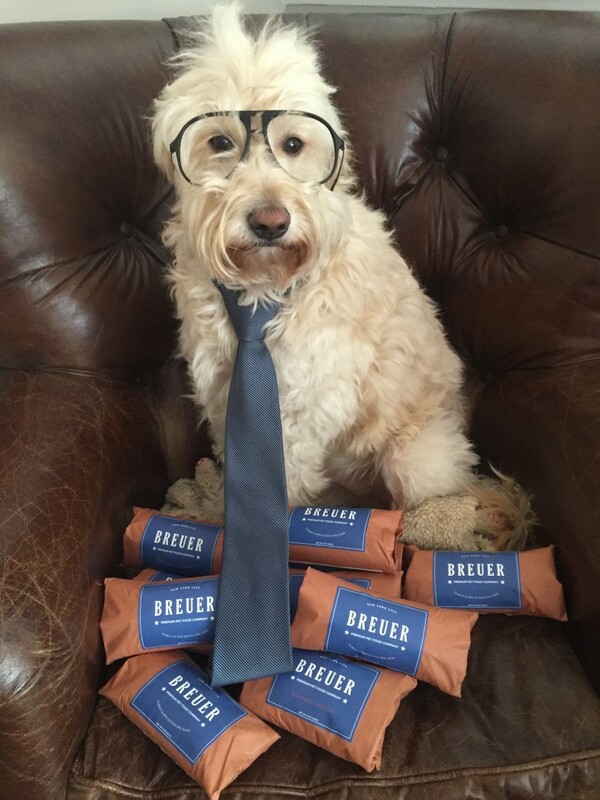 I spend most of my day on the phone or in the commercial kitchen building my start-up business, the Breuer Premium Pet Food Company. 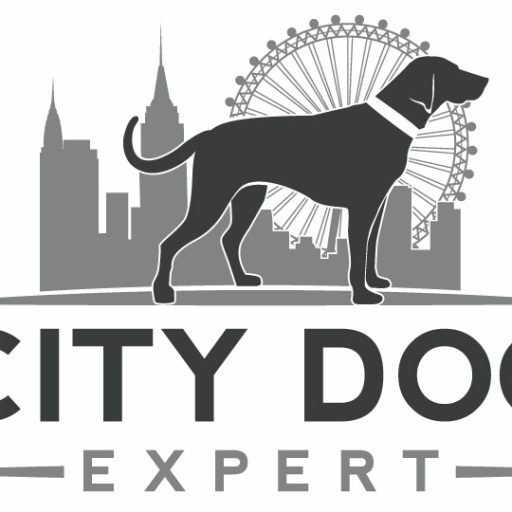 Are you the typical city dog? I am a typical city dogpreneur. Every day is different at the Spot & Tango. We launched the business in December 2014 and since then have been busy producing and delivering fresh, gourmet, human grade dog food. On Mondays and Thursdays, I am delivering Spot & Tango throughout the five boroughs. On Tuesdays, Wednesday, and Fridays, you may find me in our Long Island City kitchen, cooking & packaging each hand crafted meal, in Central Park, distributing samples, or at the ASPCA. What an interesting day job, what inspired you to start such a unique business? My canis lupus familiars ancestors have been cooking homemade meals since Lassie made his TV debut back in ’43. After seeing so many of my friends suffer during the global dog food recall in 2007, I decided to launch the Spot & Tango Pet Food Company to help build awareness for the benefits of a fresh, all natural diet. The recipes that evolved were inspired by the local, seasonal ingredients found at the markets near our farm in Upstate New York. Tell me a bit about the company? I am a dog, therefore I maintain very high moral standards! My values include honesty, loyalty, integrity, eating fast, running fast, and love. The company was built out of love for animals and a way of life which focuses on the fundamentals of healthy living. I tell my buddies at the dog park that this is an American story, in support of man’s best friend, our local farmers, and the community. We are providing dogs with fresh, all natural ingredients free from preservatives, fillers, and animal by-products present in most commercial pet foods. The Beef and Millet recipe is absolutely delicious! Firstly, I’m an omnivore, which means I love my meat and veg. 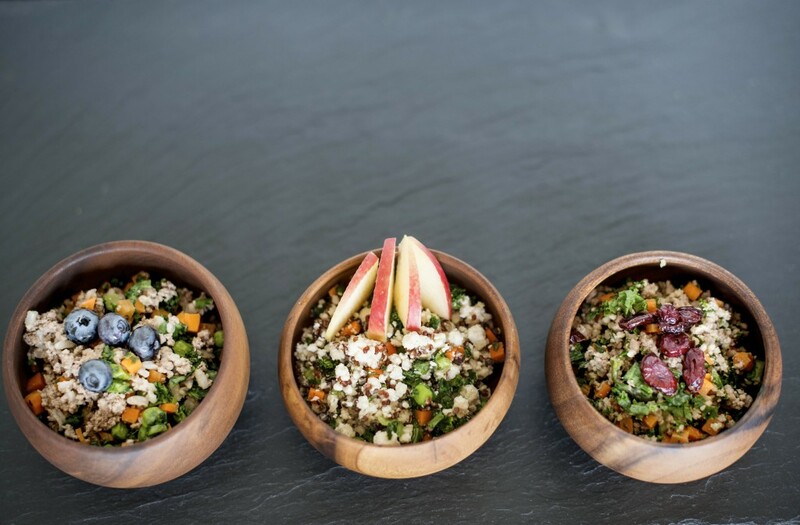 Each meal contains a carefully selected blend of superfoods, including USDA meat, gluten free carbohydrates, and an array of fresh fruits & vegetables. You’ve got to eat your veggies to help support strong bones, boost skin & coat condition, and freshen breath. Hello ladies and yum! I am not only the CEO, but also the Chief Quality Control Officer and Deputy Taste Tester. Each hand crafted batch of food must satisfy all of my 1,706 taste buds and meet the key vitamin and mineral requirements as defined by the Association of American Feed Control Officials (AAFCO). I wish I could get your food over here – other side of the Atlantic I’m afraid. It’s a brilliant idea. I make my own biscuits for Pepe (#pepefoster on instagram). I think all pets should be fed on human grade food. There is no need to feed any pet on rubbish in this day and age. We are all so concerned with what we eat ourselves and I am also very concerned about what I feed Pepe. I want him to be as fit and healthy as possible for his whole life. Good luck with your company! Pepe is waving hello from The Canary Islands! I am sure Jack is waving right back.